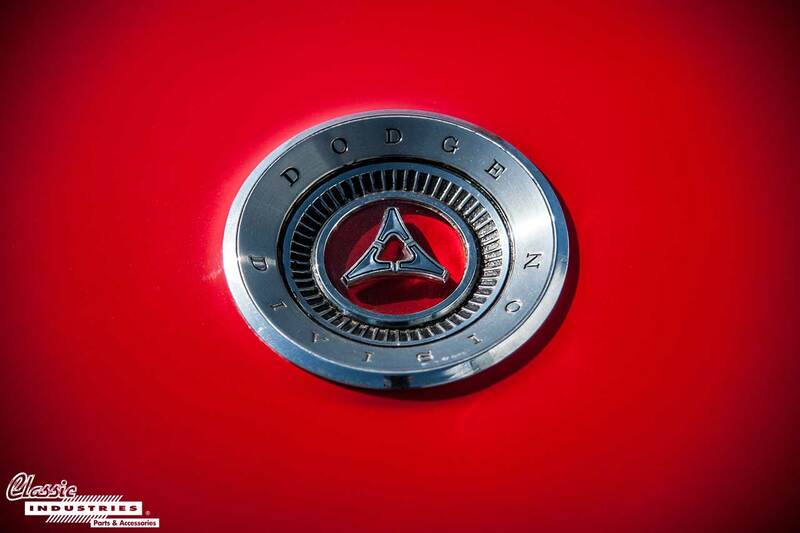 An outstanding example of the first-generation Dodge Charger pulled up to our Retail Showroom not long ago, and we took the opportunity to talk to its owner about his car's backstory. 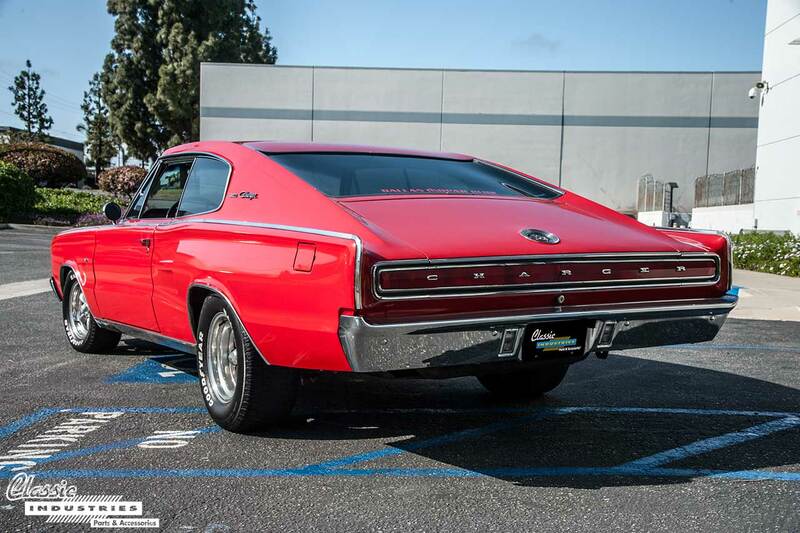 This 1966 Charger belongs to Mark de Dubovay, of Huntington Beach, California. Mark tells us he bought his Charger from the President of the Dallas Mopar Club. 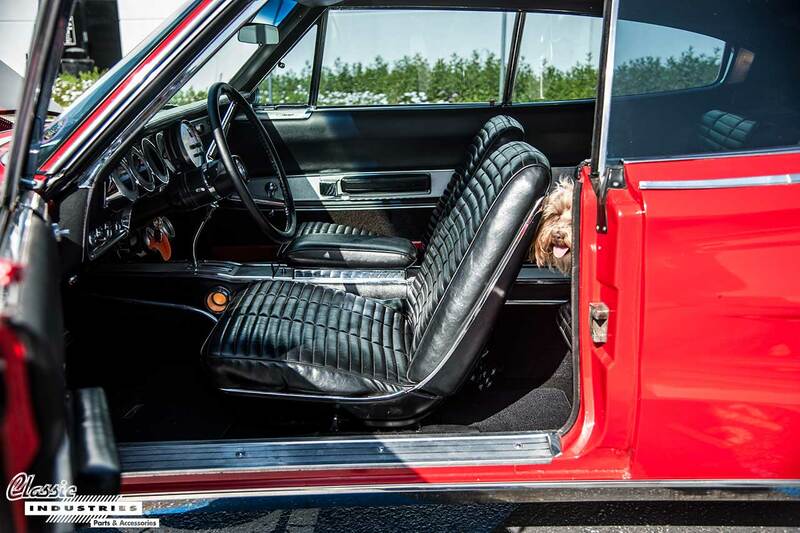 He says the car has undergone a near-total restoration since 2002, and as expected from its previous owner, none of the important details have been overlooked. 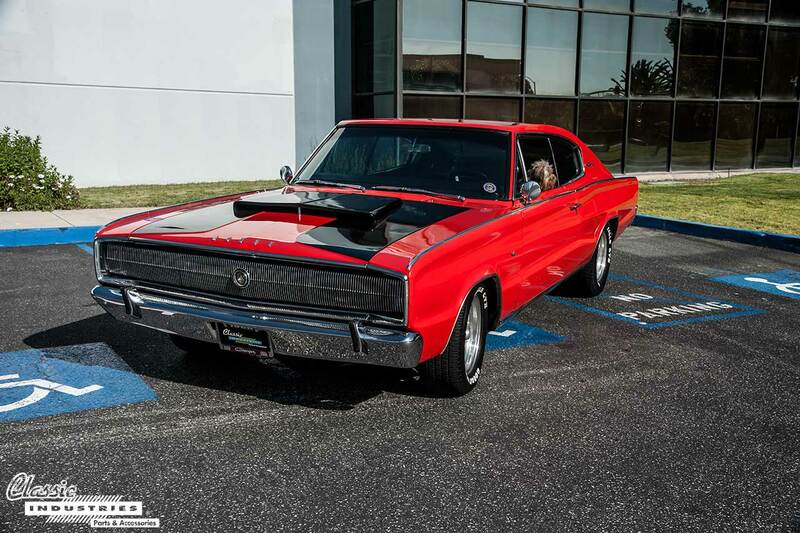 The '66 Charger's exterior has been repainted in classic red, which contrasts beautifully with its black accent paint on the hood and an abundance of chrome. The distinctive hideaway headlamps and wide Charger tail lamp assembly have been restored and look brand-new as a result. 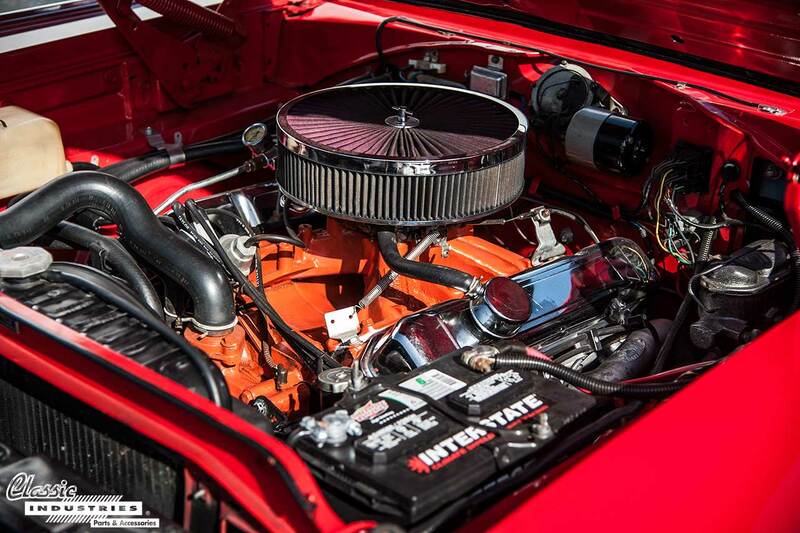 Mark's Charger is powered by the formidable 440ci big block V8 and a TorqueFlite 727 transmission. This transmission has been modified with a full manual valve body and reverse shift pattern for lightning-fast gear changes. While this Charger would be right at home on the drag strip or on display at a car show, Mark tells us it serves a different purpose for him. He calls it his "ultimate surfboard carrier" as a result of the 8-foot flat loading area that perfectly fits his board behind the front bucket seats. Mark says it gets him and his dog Kona (pictured above) to the beach in a hurry every morning. 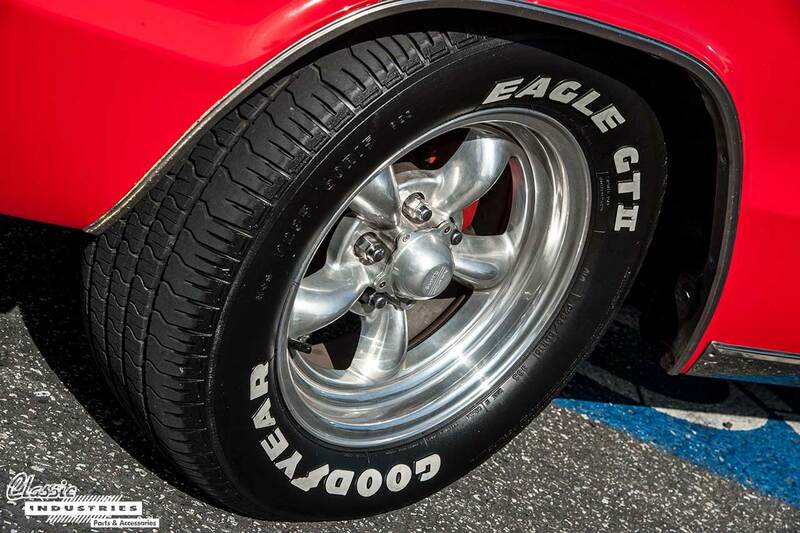 Mark also told us he has relied heavily on the Classic Industries Mopar catalog for his Charger, and said "you're the best — my go-to parts superstore!" We certainly appreciate the feedback, but most of all, we're just glad it means we get to see this gorgeous Charger in our parking lot on a regular basis. 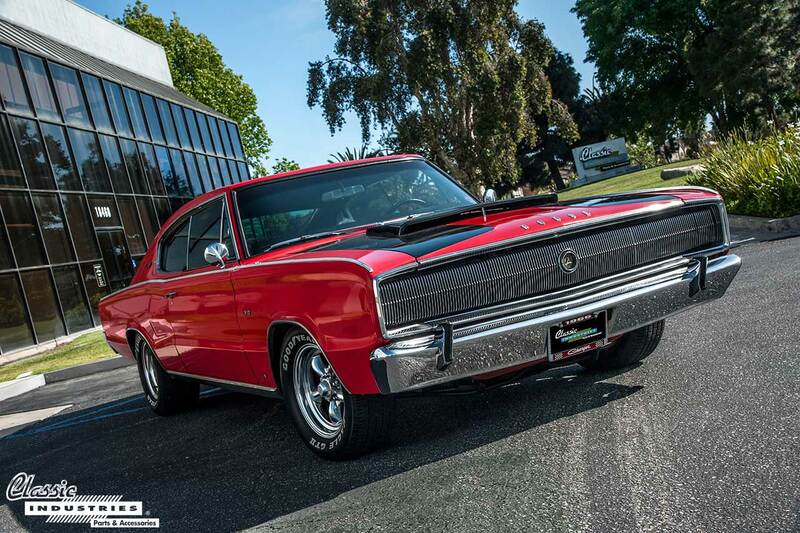 If you own a classic Dodge Charger or another A, B, or E-body Mopar car, be sure to get your free copy of the Classic Industries Mopar parts catalog by clicking the button below.